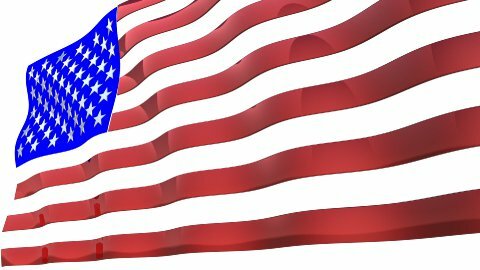 3D animated metallic USA flag. Seamless loop. World Zoom to United States of America. Marked Countries and Capitals. 4k.